Claudia Hoppe a German designer, has dedicated herself to making jewelry for the wrist. Her pieces can be seen as autonomous sculptures, which only develop their complete force of expression through interaction with the body. She is fascinated by this dialogue, which she explores through new pieces with minimalist geometry and gleaming colors that contrast with the organic lines of the female body. 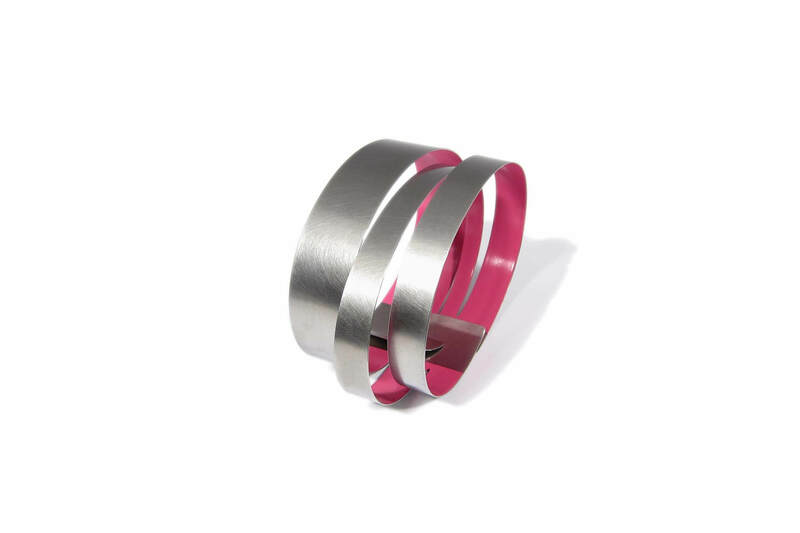 Stainless steel bracelet with pink lacquer.